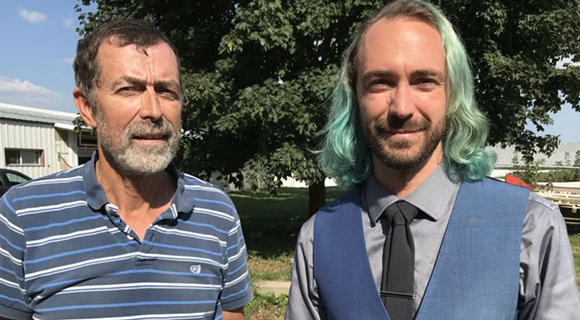 Adoption of best management practices on farms near Green Bay, Wisconsin, could help answer nagging questions about how well these strategies work to reduce nutrient pollution. January 23, 2019 — “People say the farmers are the ones who can save Green Bay, and it’s really true,” says Jim Snitgen, water resources supervisor for the Oneida Nation. His office, in the tribe’s Little Bear Development Center about thirteen miles from Green Bay, Wisconsin, is decorated with aerial photos of streams and farm fields. A table holds vials of aquatic critters preserved in clear liquid, and his desk is stacked with binders detailing several stream restoration projects. Why exactly does Green Bay need saving? Because it suffers from too much phosphorus, which contributes to Cyanobacteria, more commonly known as blue-green algae. Around the world, these bacteria are turning water a disgusting shade of green and other colors, and producing poisons that can sicken people and kill animals. And when the algae die off they can rob oxygen from other life in the water, killing fish and other aquatic life. Around Green Bay, several small streams carry excess nutrients from farm fields into the bay and eventually into Lake Michigan. One of them, Silver Creek, is the focus of a pilot project designed to answer a crucial question: Can farmers reduce their pollution enough to help the bay, while remaining profitable? The project lies within the boundaries of the Oneida reservation, and more than half the land is owned by the tribe, which leases a lot of land to non-tribal growers. “We require all our renters to follow best management practices, or BMPs, and we’re delighted to work with other partners to get more farmers on board,” Snitgen says. The Silver Creek Pilot Project began downstream, at the treatment plant handling the city of Green Bay’s wastewater. The state of Wisconsin told the Metropolitan Sewerage District — known as NEW Water — that it must cut back drastically on the phosphorus in the effluent it discharges into the bay. A 2012 state plan requires industries in the watershed to cut their phosphorus by about half. That plan also calculated that farms in the watershed contributed almost half of the nearly 275 tons (250 metric tons) of phosphorus entering the bay each year. So the district worked out an “adaptive management plan” with the state, and now, instead of building a new treatment plant, it’s helping farmers reduce their share of the pollution. There are many ways farmers can do this, and among the list of BMPs, cover crops are some of the most widely used. They reduce erosion and nutrient pollution by keeping the soil covered and the nutrients near the root zone. Other methods include low-till or no-till farming, in which seeds are planted through the residue of last year’s crop, enabling the soil to remain covered year-round; converting sloping and easily-eroded lands from row crops to rotational grazing, which also keeps the land covered; and taking land out of production completely or partially by planting buffer strips of grasses or perennials along streams to capture nutrients before they reach the water. The problem is, all these methods work differently depending on soil conditions, crop type, climate and weather. There are many variables, and few controlled studies, so researchers have been unable to pinpoint with confidence how well they work. Russell Kreis, a retired EPA Great Lakes researcher, says it’s been frustrating not to have that kind of scientific rigor. “It’s crucial that given the problems we’re seeing from nutrient pollution, not only across the country but in the world, that we get a handle on this and do things right,” he says. The Silver Creek project aims to offer some of that rigor Kreis and others are looking for. In 2014, the experiment began with an assessment of the existing water quality, using data from five monitoring sites along tiny Silver Creek, and a baseline inventory of the fields in the 7.5 square mile (19 square kilometer) sub-watershed. Experts walked the fields of every participating landowner, studying the lay of the land, surveying soil types, identifying areas vulnerable to erosion. The careful attention paid off. Ninety-percent of the farmers and landowners agreed to participate in the pilot project and to try various BMPs. “Last winter we had 90 percent of the watershed in cover crops,” Houghton says. When they started, it was only 30 percent. NEW Water is paying for the Silver Creek project primarily with a US$1.67 million grant from the Environmental Protection Agency’s Great Lakes Restoration Initiative, a federal program that funds protection and restoration projects around the region. 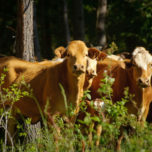 The project offsets costs incurred by farmers who improve ditches, plant cover crops or set up rotational grazing systems. 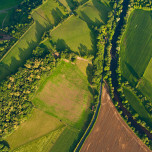 If they take farmland out of production completely or partially to install a buffer or filter strip along the stream they receive a one-time US$3,500 per acre incentive payment. In return, those features are attached to the farmer’s deed, so if they sell their land, the new owner is expected to keep them in place. NEW Water also works with existing programs such as the federal Conservation Reserve Program, which for nearly 35 years has been compensating farmers for long-term conservation practices. The concentrated attention to the sub-watershed has encouraged farmers to enroll in these programs. 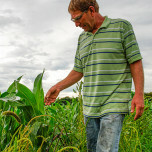 Taking farm land out of production is the path Randy Roes chose. Roes is a fifty-something cement worker with big arms and strong hands. 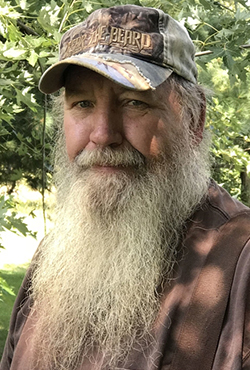 His full beard is framed by suspenders over a brown T-shirt, and a camo cap is pressed firmly on his head. He lives on the 25-acre (10-hectare) farm where as a youngster he used to help his grandfather, who raised oats and hay, chickens, and a steer. Roes has been renting out a 15-acre (6-hectare) field to neighboring corn farmers. But lately it’s been hard to find anyone who wants to deal with his small spread. “With the big equipment these days, they have a hard time turning around in such a small field,” he says with a generous belly-laugh. He decided to turn the field into a native prairie that would attract pollinators and deer. Under a fifteen-year contract with the federal Conservation Reserve Program, he receives more each year than he made by renting out his field. The first step was to clear out a drainage ditch that divided the field. As a child he watched when the ditch was dug. It was designed to drain the field, but over the years trees had grown in it, killing the grass and trapping water on the land. “You get all the little branches falling and they make all those little dams, you get water sitting,” he explains. The ditch was cleared, and the field was seeded with native grasses and perennials. Now, squadrons of butterflies, including the occasional monarch, visit the blooms of Black-Eyed Susan, Ox-eye Sunflower and Goldenrod. The Diederich farm is a picture-perfect dairy with several barns and five gleaming silos. The family and a couple of employees milk 550 cows on “the closest dairy farm to Lambeau Field,” Dan Diederich says proudly. In addition to the milkers, there are 500 heifers, and about a thousand acres of alfalfa, corn and wheat. Dan sports a blue button-down shirt with Eagle Scout cufflinks, a blue vest, blue shoelaces on tennis shoes, and blue hair. With his University of Wisconsin degree in dairy science, he is determined to make the farm profitable, and equally determined to help people understand the challenges farmers face. A few years ago, the family switched to no-till farming, partly to reduce fuel use, but Dan stresses that they lucked out when they made the switch. “For a lot of farmers, the ability to change is limited by their equipment: even if they want to do things differently, they may not be able to afford a new plow. Generally, farmers only replace equipment every 15 or 20 years. And all the equipment is sized to work together, so if you introduce something different, you’ve got to replace everything.” When the Diederichs switched they fortunately already had a tractor that could handle the heavier work of planting in a field covered with crop residue. As part of the Silver Creek pilot project, the Diederichs improved ditches in their cropland, digging them deeper and planting grass to improve drainage and reduce erosion. Separately, the Diederichs are moving their heifers out of the barn and onto pasture. The young animals will be concentrated in relatively small paddocks and moved frequently. This forces them to eat less selectively and allows each paddock to recover quickly; it also distributes manure more evenly — all contributing to greater efficiency and better soil health. Five years in a pilot program isn’t much time to clean up a stream, but the ultimate goal of adaptive management is to bring Silver Creek up to the state’s water quality standard for phosphorus. NEW Water says the project has cost US$1 million dollars annually over the last four years. That’s a lot cheaper than US$100 million for a new treatment plant. And how well is it all working? The project promises to provide extensive data about how well various agricultural practices work to reduce polluted farm runoff. The weekly samples from five monitors along Silver Creek provide baseline measurements from the year before the BMPs started. This is not as precise as more expensive continuous monitoring would be, but it offers more experimental rigor than most studies can provide. Those five monitors continue to track water quality. So far, the results are mixed. In 2016, three of the monitors showed phosphorus reductions, one stayed essentially the same and one showed a slight increase. In 2017 the area was drenched with what felt like endless rainfall, soaking the fields and making them more vulnerable to runoff. The phosphorus numbers went up, but not to levels seen pre-BMPs. 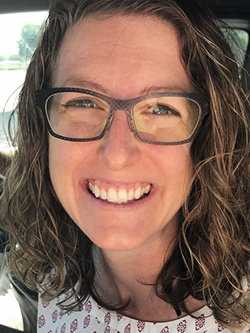 “I was very happy to see that even with a very wet year we never even approached the concentrations we saw before we started installing these best management practices,” NEW Water’s Erin Houghton says. 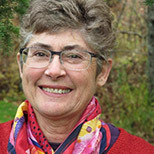 She believes the participating farmers are encouraged by visible improvements in filtration, by the ability of certain cover crops to dry fields more quickly in the spring, and by a lighter workload. Not plowing in the fall means not having to break up the field in the spring, and the machine used to plant cover crops can add fertilizer along with seeding. “Their saving in fuel and time in the field is tremendous,” she says. Jim Snitgen is also expecting good results. He does the bio-monitoring in Silver Creek, collecting samples of the plant and animal life in the stream. He’s found some key species that are indicators of water quality — caddisflies, mayflies, stoneflies, even a new variety this year that hadn’t been seen here before. “I think we’ll see the numbers go up as we go along; we’ll see healthier populations,” he says. Ongoing efforts will be needed to make sure the practices continue to work. NEW Water plans to broaden the project soon, expanding to include two adjacent watersheds, multiplying the size by ten. 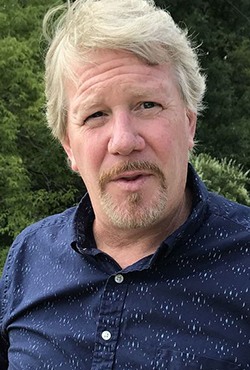 Even with that huge increase, NEW Water’s watershed program manager Jeff Smudde plans to spend between US $1-2million dollars per year. He says they’ve learned a lot from the pilot and will prioritize practices to make the most efficient use of the investment.